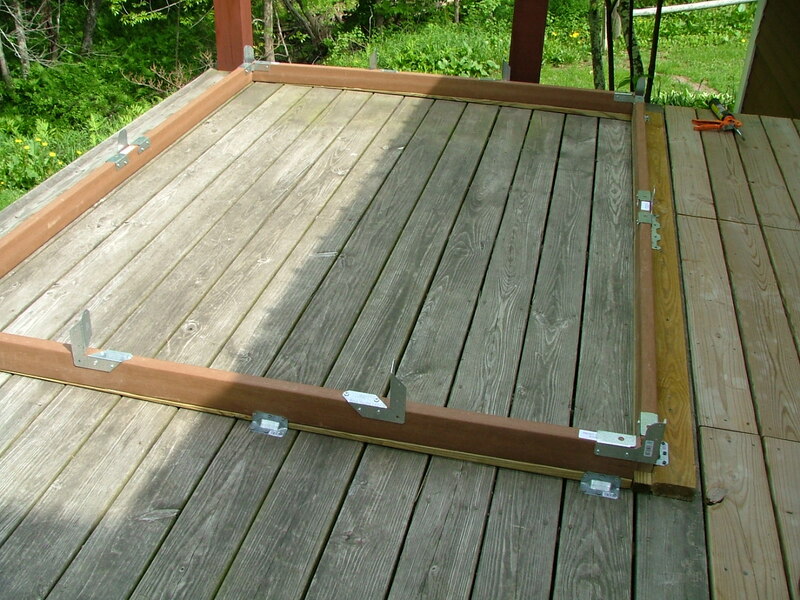 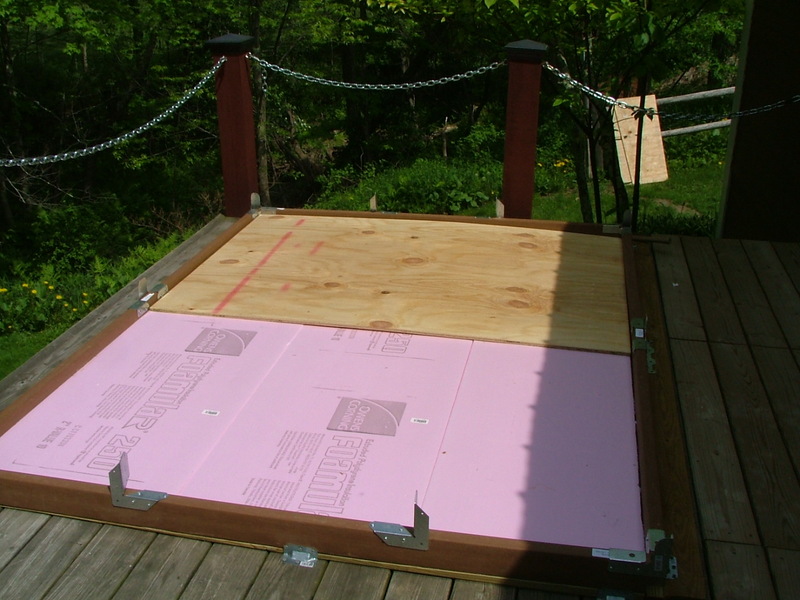 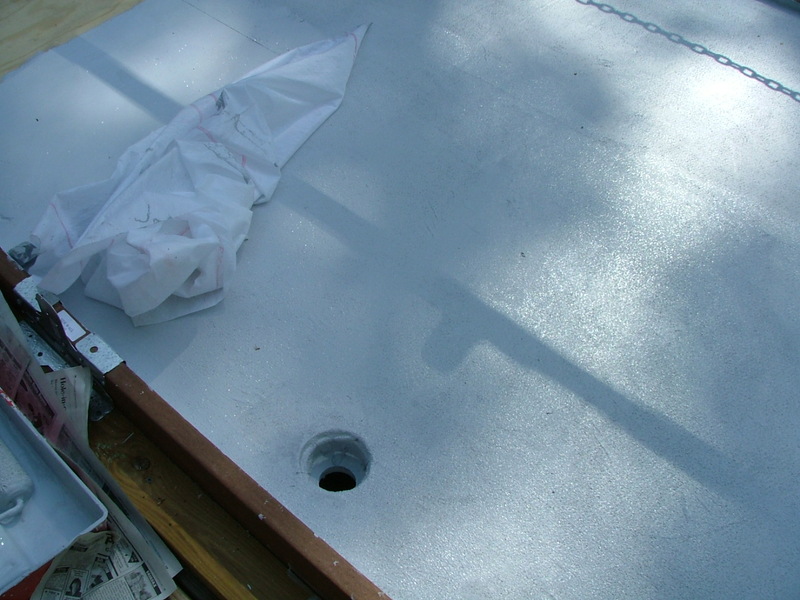 The following photos show me building a Sunshine Gardenhouse on my Pressure Treated Deck. 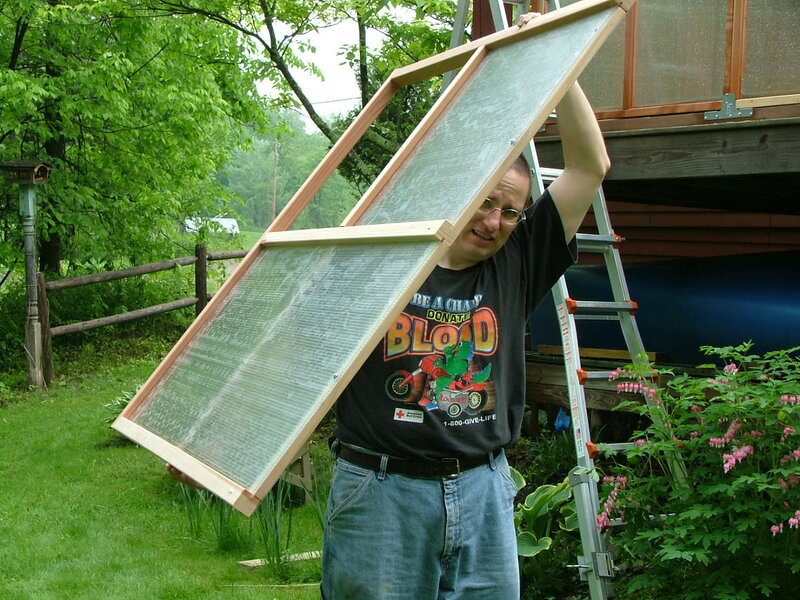 The original greenhouse was 6X8; two years later I expanded it another four feet for a total size of six feet by twelve feet. 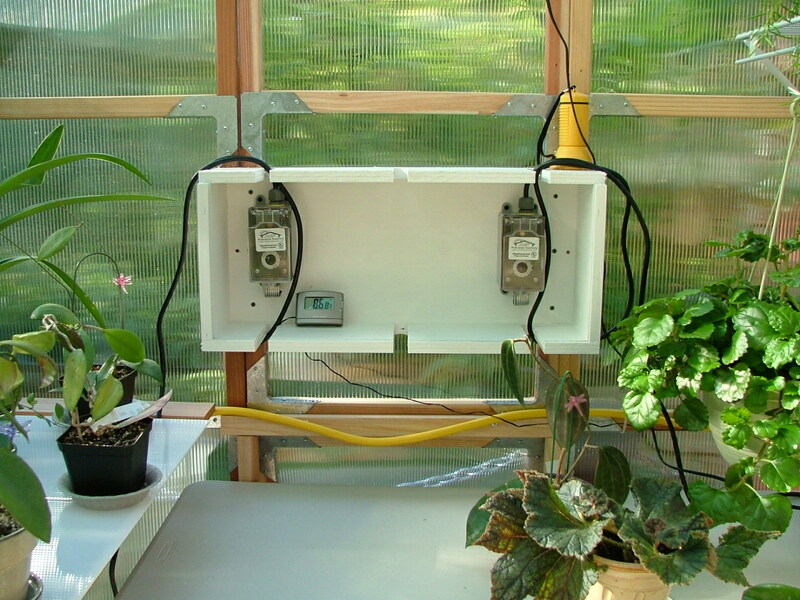 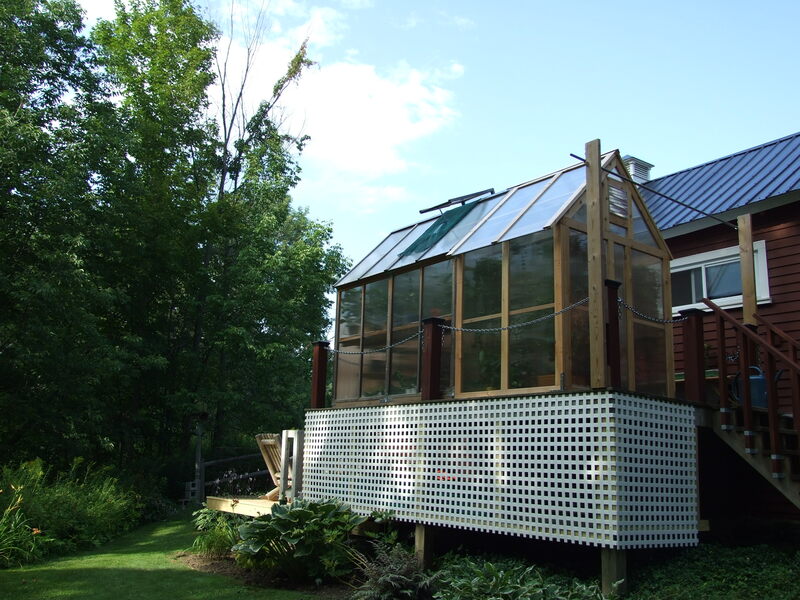 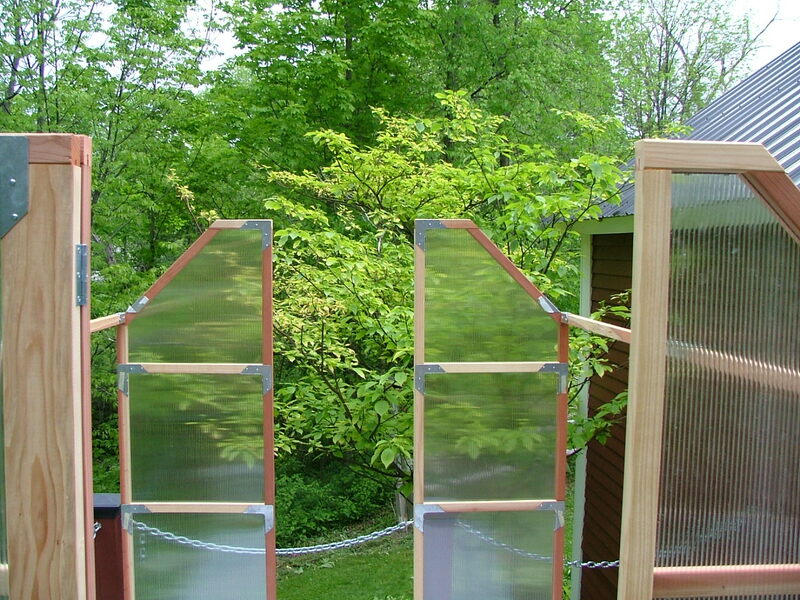 As I right this (Spring of 2011) I am debating whether to get a larger greenhouse and set it on the ground. 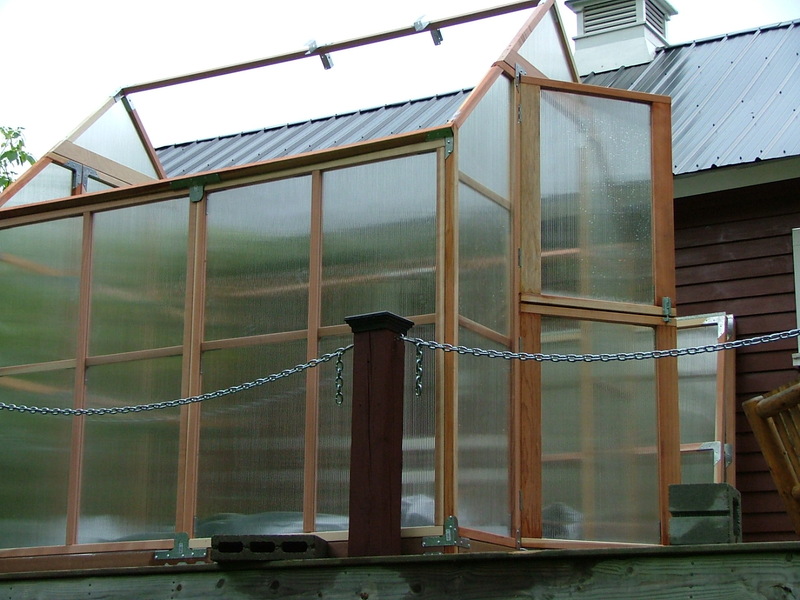 The moral of the story is to get as large a greenhouse as you can afford, because they are never big enough!